05/04/14 W51. 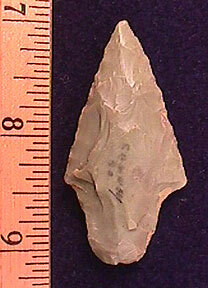 Adena, 2 3/16", Southern IN, hornstone, very nice with a lightly ground stem, large point that has been worked down creating a small stack on the reverse side, displays very well, $10. 08/28/13 W52. 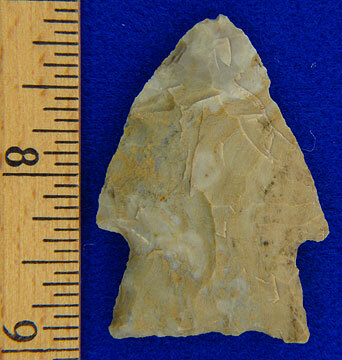 Johnson, 2 7/16", Clay Co., AR, Burlington chert, ex-Ken Partain collection, well made on a slightly curved flake, nicely serrated, $30. 08/28/13 W53. 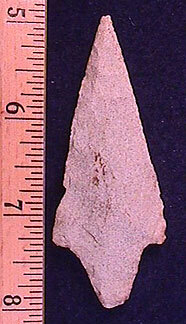 Rice side-notched, 2 3/8", AR, Burlington chert, ex-Ken Partain collection, thin and well made with a needle tip, $20. 08/28/13 W54. 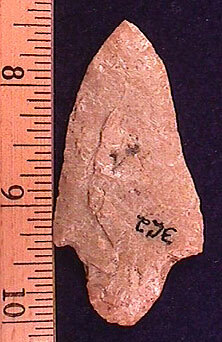 Johnson, 1 7/8", Clay Co., AR, mottled tan and gray, ex-Ken Partain collection, very thin, other side is better, $15. 08/07/11 W55. 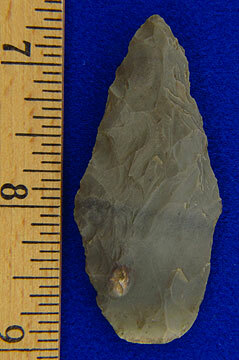 (W36) HOLD Adena-Robbins, 3 5/8", most likely KY/OH, hornstone, ex-Vietzen collection, large and well made from a famous collection, $89. 08/07/11 W56. 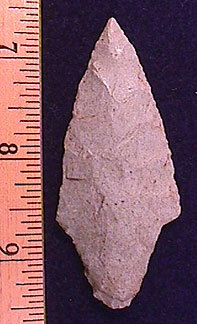 (W37) HOLD Adena-Robbins, 4 1/8", most likely KY/OH. Carter Cave, ex-Vietzen collection, edge wear, large and well made from a famous collection, $89. 09/01/09 W63. 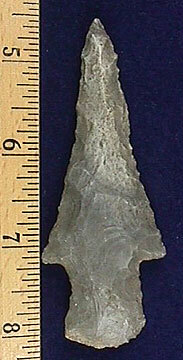 (W45) Gary, 3", Sequoyah Co., OK. gray and tan, thin and very nice, minor ancient tip ding, $25. 09/01/09 W64. (W48) Gary, 2 7\8", AR, gray, ex-Ken Partain, very thin and well made, $30. 09/01/09 W65. 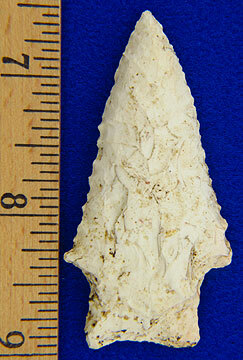 (W49) Adena, 2 1\8", Conway, KY, St. Louis green, nice point made from a highly desirable material, from my collection, $39. 09/01/09 W67. 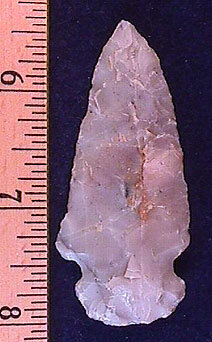 (W51) Adena, 2 9\16", KY, glossy quartz-like material, extremely fine edgework with a ground stem and did I mention THIN, $30. 09/01/09 W68. 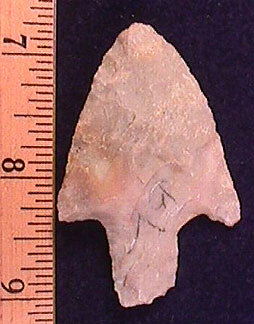 (W52) HOLD Gibson, 2 5\8", OH, gray Flint Ridge with pink, ex-Vietzen collection, $25. 09/01/09 W69. 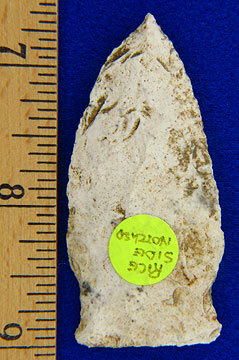 (W53) Adena, 2 1\4", KY, colorful Boyle chert, ex-Sonny Adkins collection, thin and frames nicely, $19.